Huge Savings Item! 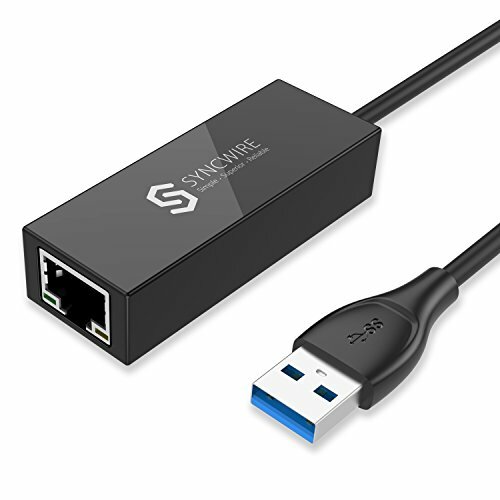 Save 12% on the USB 3.0 to Ethernet Adapter - [Plug & Play] Syncwire 10/100/1000 Mbps RJ45 LAN Gigabit Ethernet Adapter for Macbook, Mac Pro/Mini, iMac, HP, Lenovo, Dell, Surface Pro, Windows 10, 8, 7, XP & More by Syncwire at Home Entertainment Centers Online. MPN: SW-AD061. Hurry! Limited time offer. Offer valid only while supplies last. OS Compatibility: CHROME & MAC & WINDOWS UNIVERSAL COMPATIBLE with -Windows 10/8/8.1/7/Vista. -Mac 10.6/10.7/10.8/10.9/10.10/10.11/10.12. -Linux.